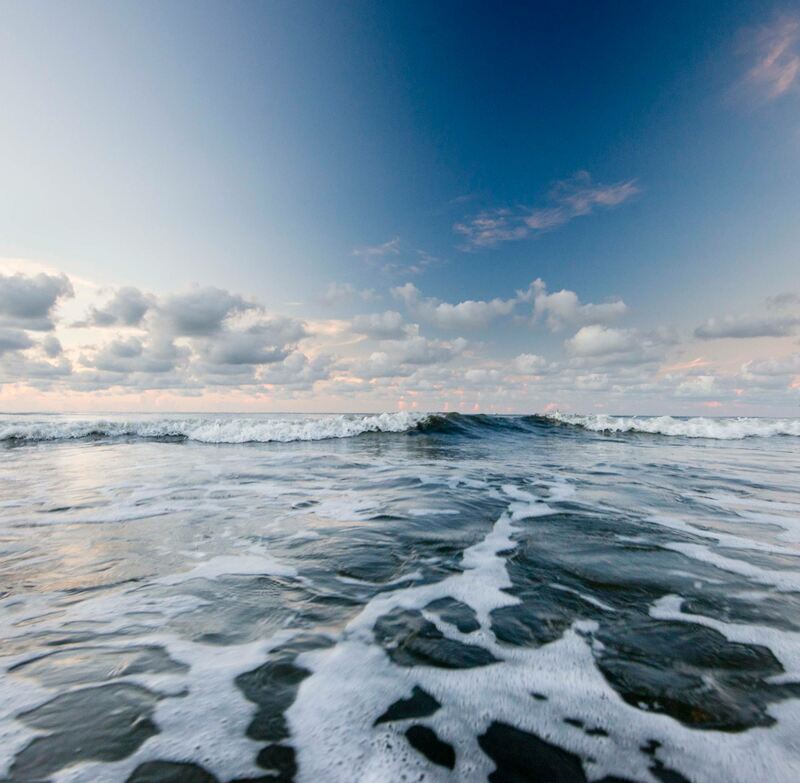 There are so many things to do on Kiawah Island. Each and every day can be filled to the brim with activity—or just a whole lot of relaxing. Over thirty miles of paved trails and 10 miles of hard-packed beach let you create freewheeling family memories in a technicolor world of bright forest greens and glistening ocean blues. Cast off for aquatic adventure in tidal creeks, salt marshes, the Kiawah River, and mile-after-mile of sun-sparkled coastline. Paddle away in a canoe, kayak, or kayak-for-two and see where the current will take you. There are numerous water access points, including a community kayak rental dock at Mingo Point as well as a full marina just outside Kiawah’s gate — for more expansive Kiawah Island fishing and deep sea fishing excursions. 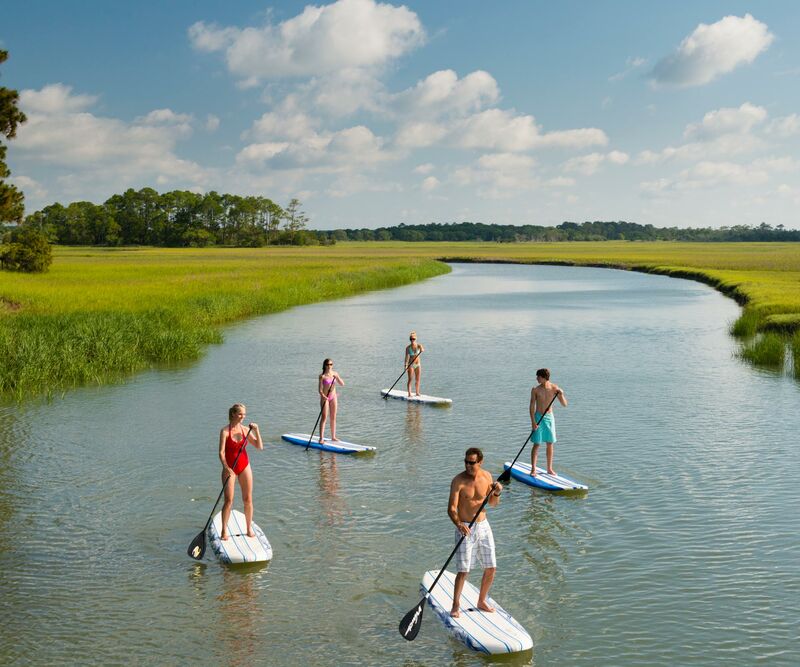 Also, Kiawah Island Club Members enjoy private access to a kayak dock and boat storage in Cassique, and the Kiawah Community Association maintains a boat launch and storage at Cinder Creek and Rhett’s Bluff. 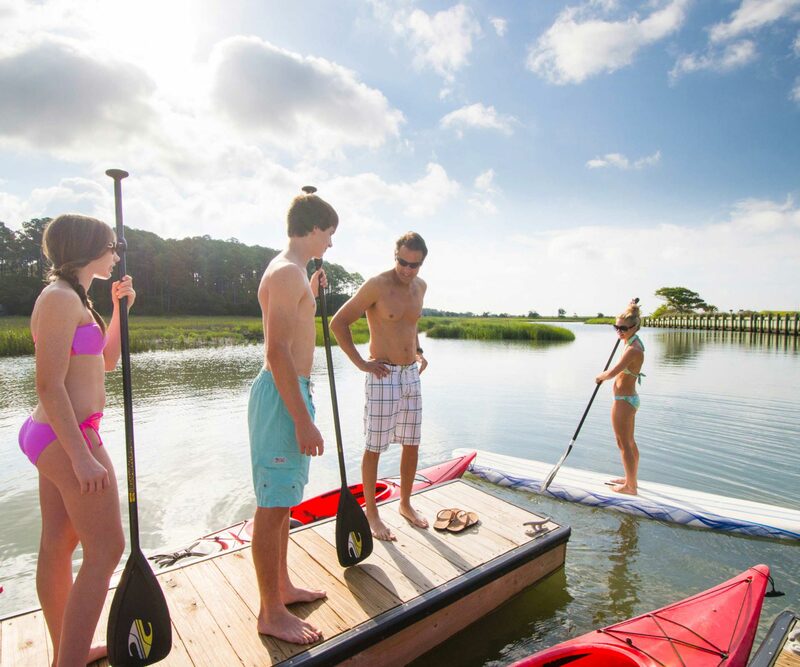 At The Kiawah Island Nature Center you’ll find information on Kiawah Island Golf Resort’s Kamp Kiawah, and make reservations for tours focused on paddling, walking, fishing, classroom programs, van excursions, and more. Enjoy the Center’s local wildlife exhibits, interactive displays, and information about the Island’s ecosystems, with local naturalists eager to direct you to nature’s hot spots. Located off Kiawah Island Parkway near East Beach Village, Kiawah Island Golf Resort’s 21-acre Night Heron Park is a hub for concerts, special functions, and sporting events. The park is open year-round and features basketball and volleyball courts, soccer fields, a playground, nature center, pool complex, and fitness trail complete with cardio and strength training stations. Located on the banks of the Kiawah River, Mingo Point is the perfect setting for special events, featuring a Lowcountry oyster roast and barbecue accompanied by live music. Groups of 50 to 800 people can enjoy an elegant presentation of traditional regional foods, as well as genuine Southern hospitality. And from spring through fall, Freshfields Village plays host to a number of outdoor concerts and festivals, farmers markets, and movies-under-the-stars. It could be your little piece of Heaven.